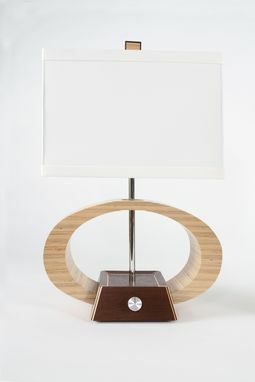 The seed idea for Retro actually came from another ellipse based lamp that I have yet to build. This is my first experimentation with a more sculptural approach to woodworking. 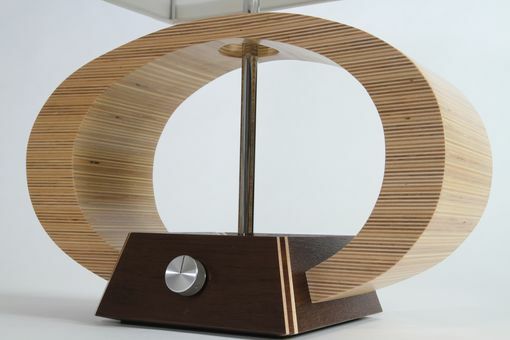 The ellipse is shaped out of a large laminated chunk of Baltic birch plywood and is attached to a base made of Peruvian walnut with an elegant maple inlay. The base features a slight bevel on the top edge that slops toward the top panel, while a bevel on the bottom edge gives the lamp an appearance that it is floating. 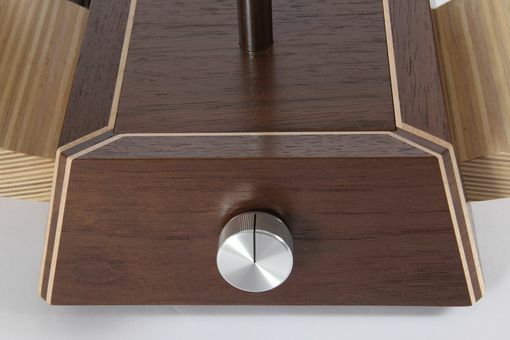 The lamp features a rotary switch in the base with an aluminum knob reminiscent of a vintage stereo unit. 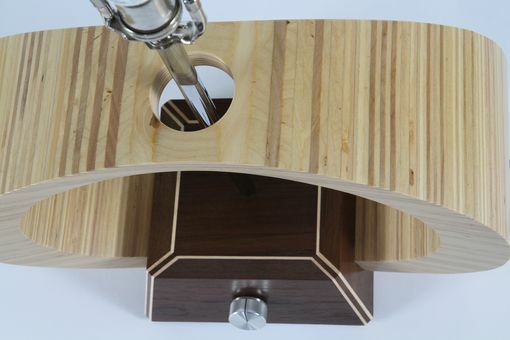 Wood selection and power cord placement are all customizable to suit client's preferences. 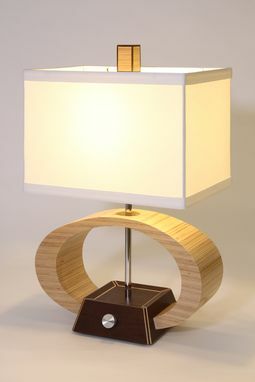 Price may vary with different species of wood and discounts may apply when ordering more than one lamp. Discount available if you do not want the included shade. 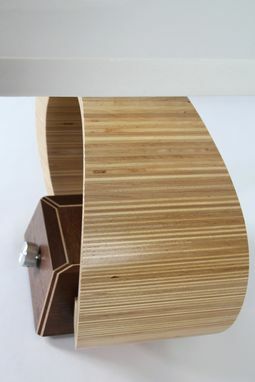 - Wood - (Peruvian Walnut, Maple, and Baltic Birch plywood) - Contact me for customization with different woods.